Don't Panic Games has decided to extend their Pledge Manager allowance time by a month. It was to have closed on January 10th, but now it's going all the way until February 10th. So if you'd like to join in the fun at the Kickstarter prices, you can. Just head over to their webshop and order what you'd like. Don't Panic Games is in their final night over on Kickstarter for their Drakerys fantasy minis game. They've made it a long way, but there's always more stretch goals to strive for. Drakerys unlocked the dwarves and the game has less than 24 hours left. Lots of things to unlock, and already some huge pledge levels, filled with hundreds of minis. Don't Panic Games is in their final 2 days up on Kickstarter for Drakerys. There's still plenty of stretch goals to get through. 2 days. 2 DAYS !! Friends, this is the last stand. This is the moment when the heroes start chanting about seeing the line of their people, back to the beginning. This is time when you chose to go big or go home. This Kickstarter went above and beyond all our expectations. We are so proud of you. So proud to count us among our backers, among our friends, among our family. We wouldn’t have dared to dream of a better community to start our adventure. The whole world of Drakerys will be yours to grasp, in a few months. Thanks to you, The Paladinate will conquer with a ravenous hunger, Ashral will fight with honour and Avaren will slaughter with elegance. Now… It is time. Time to unleash the people who were waiting in the dark. Time to free the worshippers of the gilded spirits. Time to behold the Ghost Lion ! Time for THE DWARVES !!!! Don't Panic Games is in their final couple days on Kickstarter for Drakerys. They're closing in on 5x funded. Do you think they'll make it? 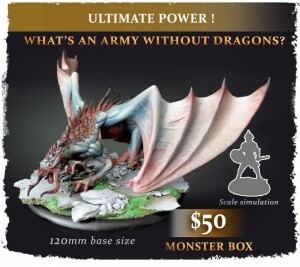 The dragons of Drakerys can played in every armies and as monsters, are not limited to one. Heck, some powerful awakened, like Valira can even summon them to fight on her side... Provided she keeps them content and feed them magic and... Flesh. Don't Panic Games keeps plugging along with Drakerys. They've got just over a week left and are still making it through stretch goals. Drakerys jsut went past the $150k mark, unlocking new heroes for the Ashral orcs and the Irosia Paladinate. 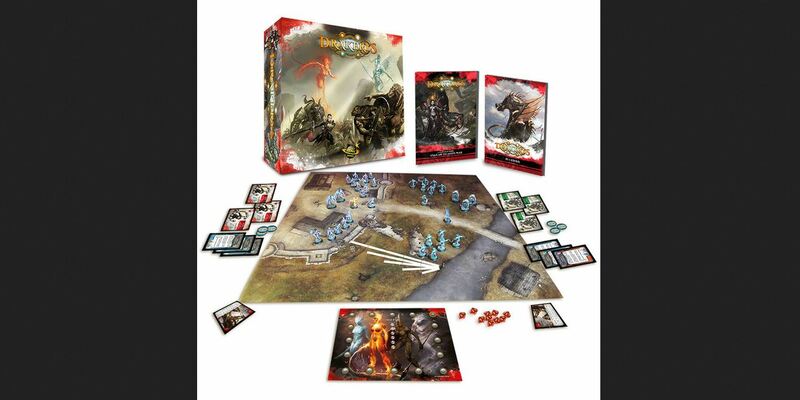 They also offer a free additional army box to all their Elemental 5 backers. 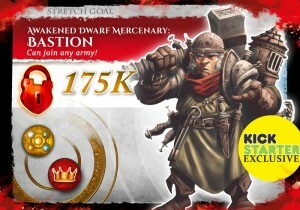 Now the dwarves are the next announced step, even though their latest update mentioned some surprise stretch goals before Bastion. They also posted their 2 part Gameplay video, showing how a game plays, from deployment to magic going through shooting and melee combat. 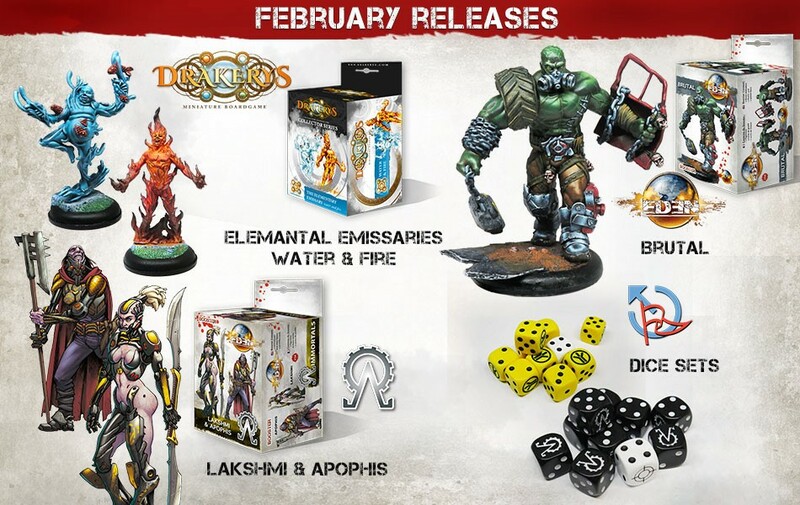 Don't Panic Games is showing off some more Drakerys art as well as giving us a look into the game details some more on their Kickstarter page. We have a lot of things to show today, so two updates might do the trick. First, Kalirus, the mage adventurer. The spiritual son of Gandlaf and Indiana Jones. The rules of the day are : Ranged Attacks, Morale, and Equipment. Don't Panic Games is getting closer to unlocking the Elves factions for Drakerys. They've posted up what the pledge levels will be like for when they are added to the campaign. Drakerys is about to unlock elves and they decided to present the pledge levels they were going to open with the arrival of the Avaren Elves. 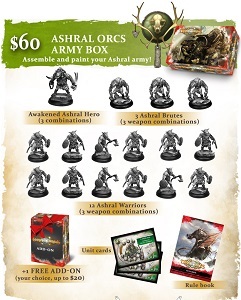 - A 60$ pledge will offer an army box and a unit box for elves, on the model of what they did for the Orks and Irosia. - A brand new pledge level, valued $265 (according to some math done with the add-ons values) will be available as an early bird at $235 and then at $250. 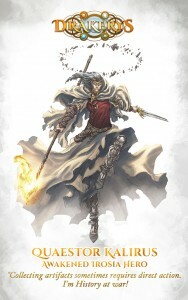 -Elemental 5 gets all the elves for free. - All elves products will be available as add-ons. 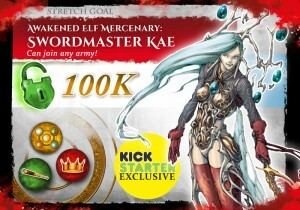 Don't Panic Games has made it up and over $100k for their Drakerys Kickstarter and thus unlocked the elves. Xmas in July ? No ! Wait ? It's still freaking May. But who can think properly in the midst of all this Awesomeness ? Not the staff at Don't Panic Games ! Why ? Pray tell ? Because YOU DID IT !!! You really freaking did it ! You asked for it. Pleaded for it ! Pledged for it ! Well Baby, you got it. Congratulations ! Bring on the Elves in all their disgusting elegance. I mean seriously, even the chubby ones have oodles of swag.